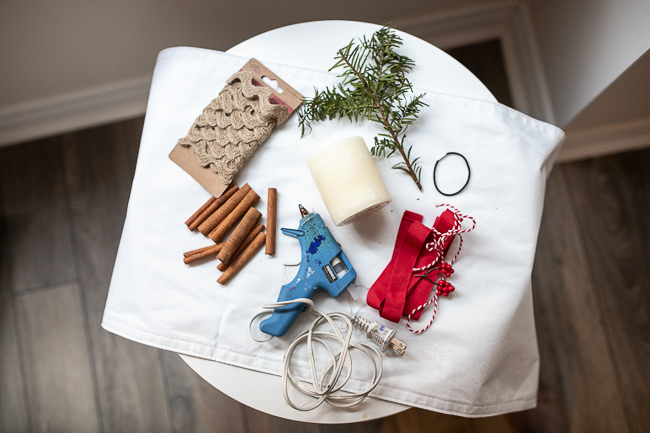 As the holidays draw closer, it’s the perfect time to get cozy at home and work on some festive DIY’s. 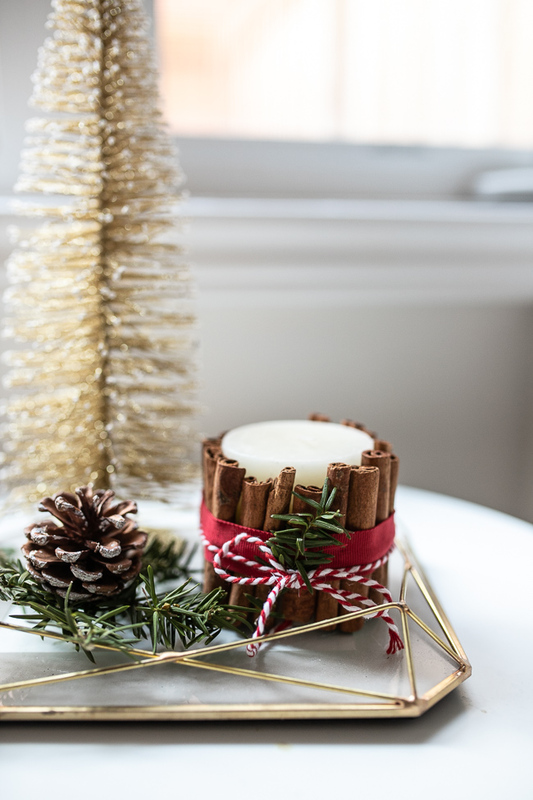 Get into the festive season by trying this easy DIY holiday cinnamon stick candle. They are great for holiday decor or homemade gifts. It has been a while since I posted a DIY blog post and my last one was DIY pom-pom sandals last year. 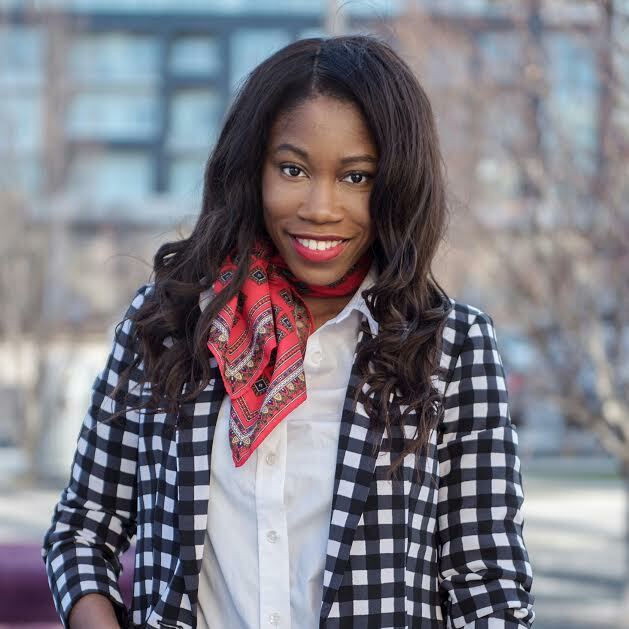 In January I’m excited to be sharing more easy DIYs. Decorative scraps of greenery, faux berries etc. 1. 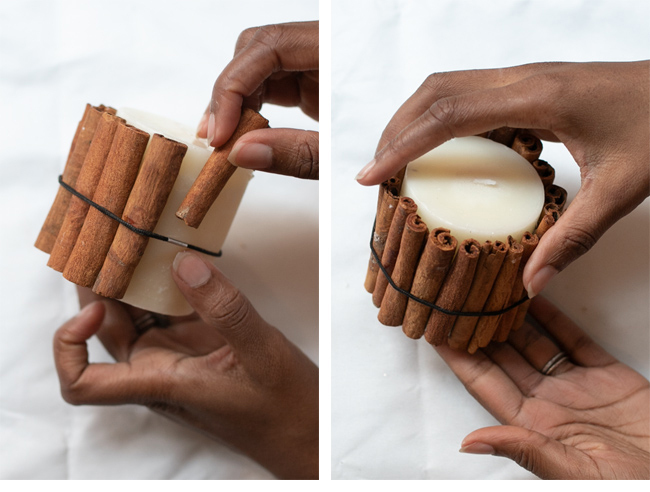 Place an elastic band around the candle ( tip: you don’t want your band stretched too tightly around your candle because it might snap while you’re doing the next step). 2. Place your cinnamon sticks between the candle and the band. The rubber band will hold them in place. If any of the cinnamon sticks are loose, you can reinforce them by gluing them down with your glue gun. Go around until the candle is covered and the sticks feel nice and snug. 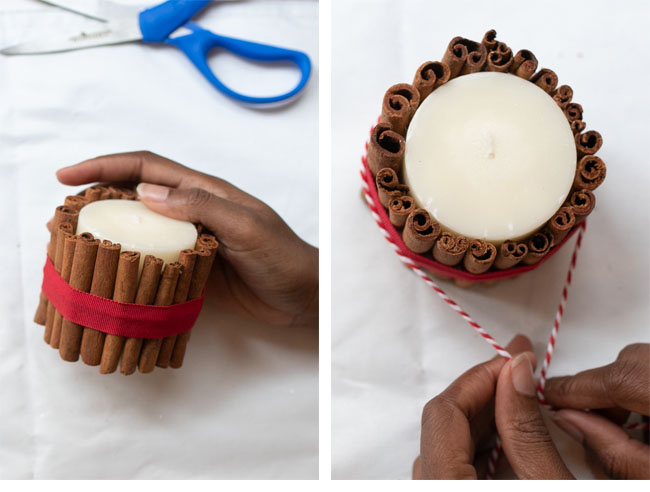 If your cinnamon sticks are too long, cut to fit the height of the candle. 3. 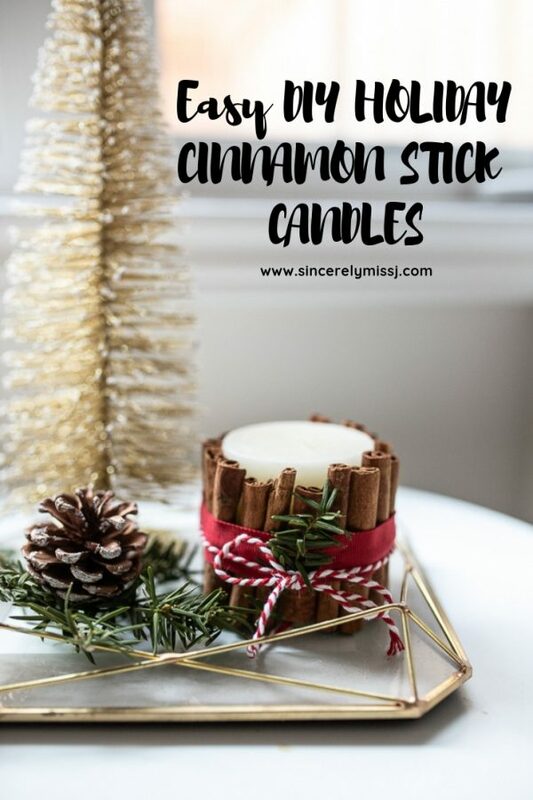 When the whole candle is covered by the cinnamon sticks, the fun part begins! Take your twine or ribbon and cut it a bit longer than the circumference of your candle. If you are using a thinner twine, cut about double or triple the amount to cover the rubber band and achieve a different look. Secure areas with hot glue if needed. 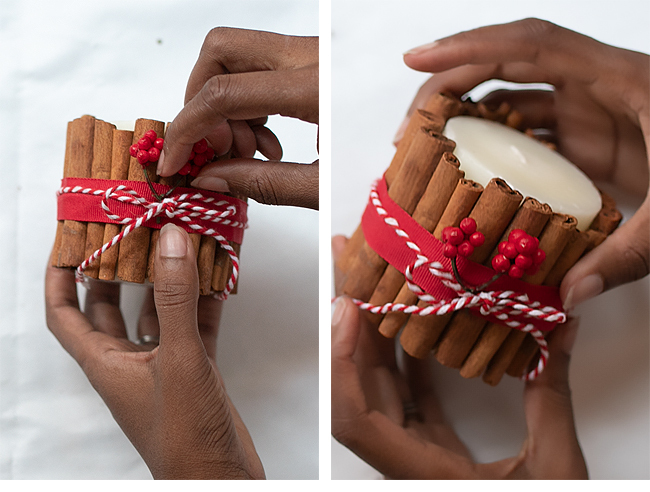 Now tie your twine or ribbon in a knot or bow and trim the excess. 4. Add your decorative items ex. greenery, faux berries etc. Voila! Easy but beautiful candles to warm your home during the holiday season!